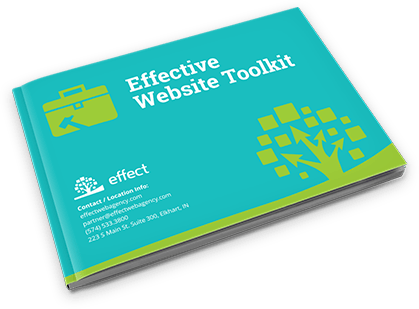 Get a high-performance website that attracts and converts. We can show that Effect is the best choice for SEO Services. That’s because we offer proven results. You can see real results from companies just like yours from all industries and cities across the United States. 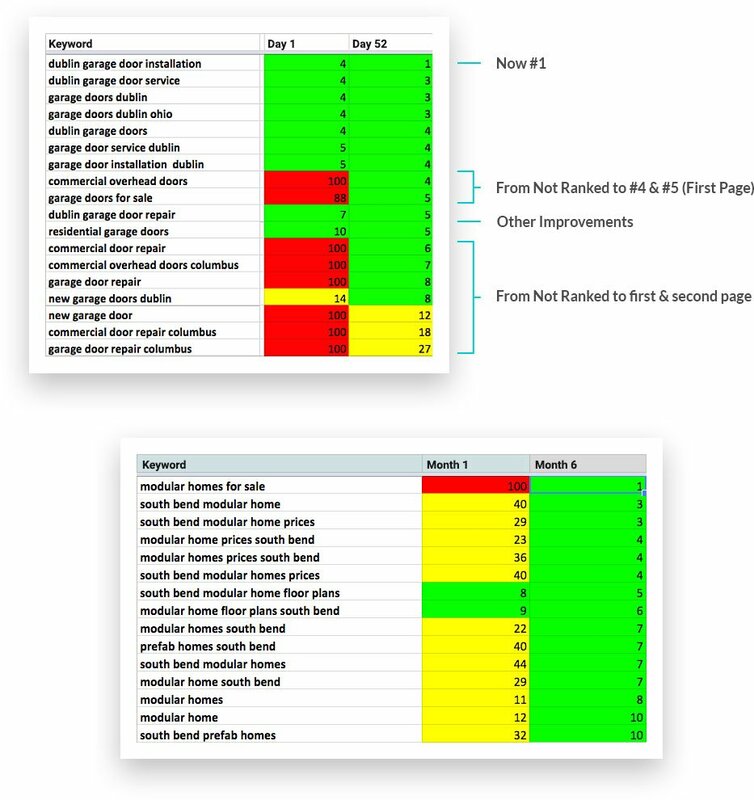 As a matter of fact, many of our clients start seeing improvements in their Google ranking in as little as 4 weeks. 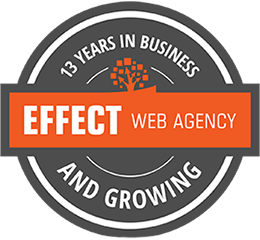 At Effect Web Agency, we incorporate all FOUR types of search engine optimization to provide lasting results and better customer engagement. We fix backend coding issues that might keep your site from ranking on Google. SEO specialists perform advanced keyword research and improve placement and density, so that you will rank higher in Google’s search results. Reverse engineer your competitor’s websites, monitor backlinks, and improve the quality of your local listings for a more strategic position. Our content writers generate high-quality, original content that will engage your clients and improve your relevance in online searches. *Some companies may qualify for the Accessibility Tax Credit. Please check with your financial officer to see if your company is eligible. We recommend a minimum of 6-12 months of our SEO Package to increase visibility in Google’s search results for either local or national markets. Actual time depends on the competition, the current condition of the website, and how often Google updates their algorithm. . Discover 3 things you can do to improve your Google rank. That’s right! Our SEO experts will personally review your website and send you three actionable items you can do to improve your site’s SEO. Unfortunately, certain things are out of our control. Google frequently changes their algorithm. The local competition comes and goes and economies change. SEO is not a one-and-done strategy. Instead, it is an ongoing, responsive element of digital marketing. Because of this, we cannot guarantee things like “#1 on Google” and you should be wary of those that do. The only way to “guarantee” that you stay at #1 is to pay a premium for AdWords. You will receive personal attention from a highly-qualified team, dedicated to promoting your business through online channels. We will communicate openly and honestly about what is working and what is not. You will always know exactly how your website is performing. Our team will stay on top of SEO best practices and industry news so that you stand the best chance of reaching that #1 spot. You can call us on the phone or contact us through our website. We will set up a time to go over your needs and goals and show you how Effect Web Agency can help you meet them. We can meet in person, by phone, or through video conferencing. We are easy to work with and focused on what works best for you. Are you a business in the Indianapolis Metro Area, serving local markets? If so, then we have more information on how you can reach the right people with the right message using our proven SEO process.